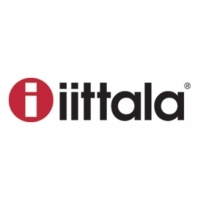 Home > Brand > iittala > iittala Home Accents > iittala Alvar Aalto Vases > iittala Aalto White Vase - 6-1/4"
Home > Brand > iittala > iittala Alvar Aalto Vases > iittala Aalto White Vase - 6-1/4"
Home > Shop by Category > Gifts > iittala Alvar Aalto Vases > iittala Aalto White Vase - 6-1/4"
Home > Shop by Category > Living > Home Accents > Finnish Vases & Plant Pots > iittala Alvar Aalto Vases > iittala Aalto White Vase - 6-1/4"
Home > Shop by Category > Home Accents > Finnish Vases & Plant Pots > iittala Alvar Aalto Vases > iittala Aalto White Vase - 6-1/4"
Home > Shop by Category > Gifts > Gifts by Occasion > Unique Wedding Gift Ideas > iittala Alvar Aalto Vases > iittala Aalto White Vase - 6-1/4"
More about iittala Aalto White Vase - 6-1/4" With a surname that fittingly means "Wave" in Finnish, Alvar Aalto created these flowing lines in 1936 as an ode Finland's water-rich landscape. 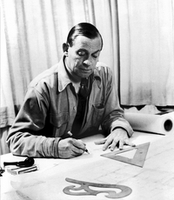 The following year, the design was unveiled at the Paris World Fair and the crowds were immediately taken by its effortless elegance. 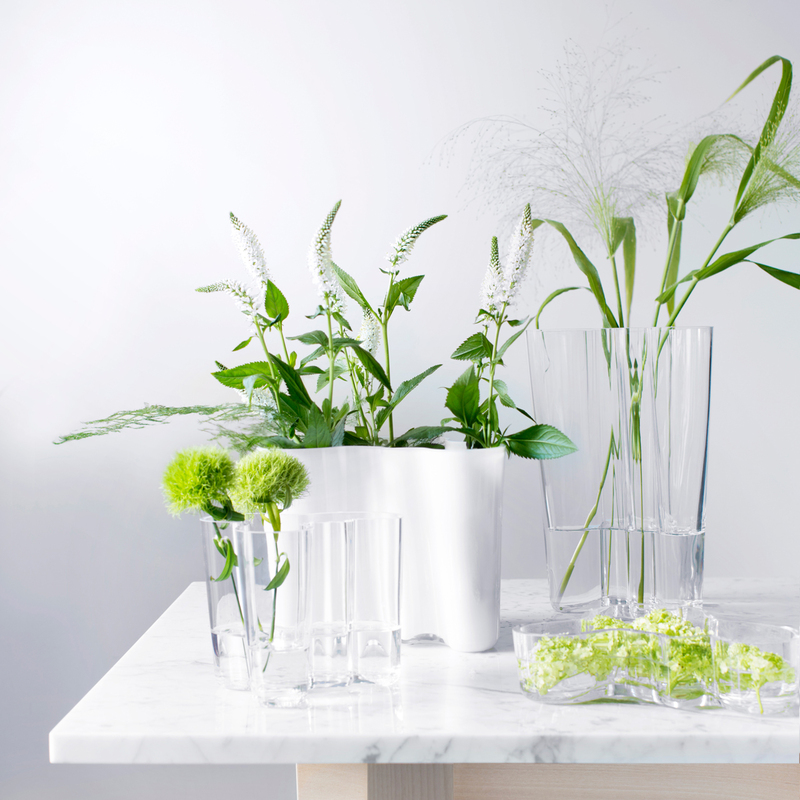 While the fluid form feels like such a natural occurrence, it takes 7 craftsmen, 12 work stages and 30 hours to create just one of these extraordinary vases. 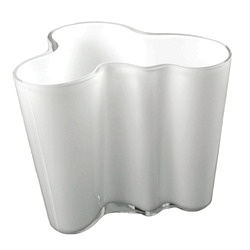 The iittala Aalto White Vase is unique, as it is cased with a white layer of glass inside a clear outer layer. 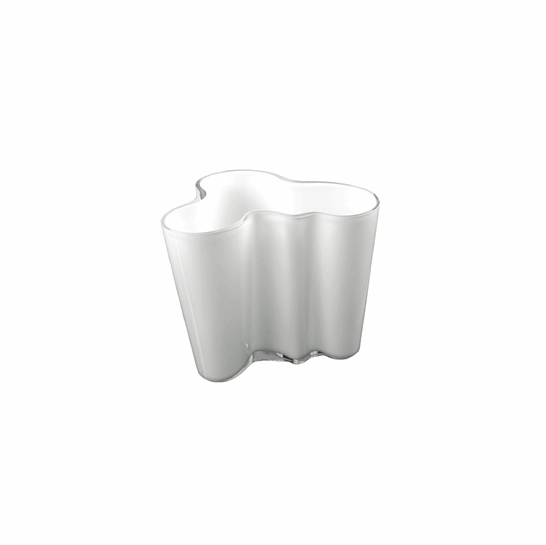 Specifications for iittala Aalto White Vase - 6-1/4"
Product Reviews for iittala Aalto White Vase - 6-1/4"